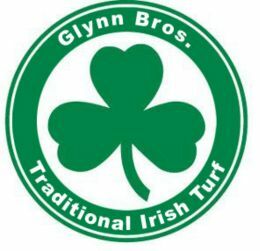 Boston, MA: The Glynn Bros. of SouthShoreIrish.com is YOUR premier online source for Genuine Irish Turf products and the ONLY US based supplier that provides both Bord Na Mona Briquettes and genuine Irish sods products. Glynn Bros. also has customized fire-pits that you can design yourself! 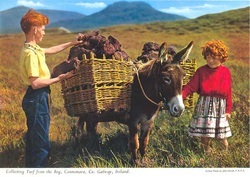 The wonderful aroma of turf/peat burning in a fireplace is for many people as much a part of Ireland as Guinness! 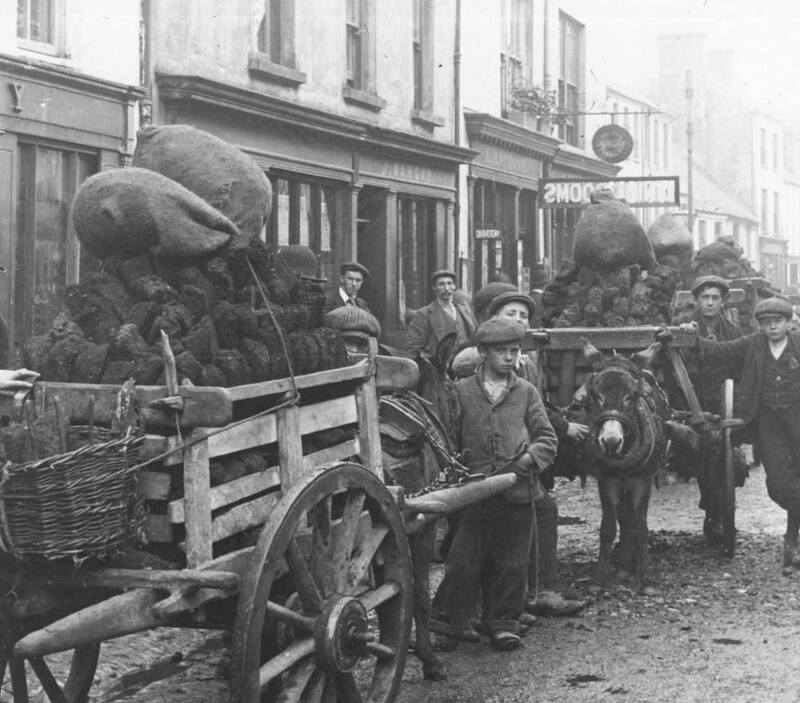 Now if you are living in the US and looking for a genuine Irish turf or peat fire to chase away those chilly nights or to bring the wonderful aroma of Ireland to you then look no further than Glynn Bros. Using USPS or UPS as our couriers we are able to supply turf and Bord na Mona to US addresses. This makes turf/peat much more accessible no matter where you live in the US, making it a special treat for those long fall & winter evenings, Summer nights by the fire pit, the festive holidays and the ideal gift for those with Irish connections. Makes for the perfect, hard to find Irish Gift for any occasion. Order securely from us via Paypal with any credit card for shipping or prearrange a pick up at our locations. Soon, you can look forward to a cozy night in with the magical aroma of Ireland. Glynn Bros. Traditional Irish Turf - Incredibly intense and aromatic - unmistakably Ireland. CLICK PLAY ON AUDIO FILE BELOW TO LISTEN! INTERESTED IN ACTUALLY SMELLING THE UNIQUE AROMA OF IRELAND? MOVE MOUSE OVER PHOTO BELOW AND SNIFF! (JUST KIDDING, THE ONLY WAY TO ENJOY IT -- IS TO BURN IT. ORDER TODAY! Enjoy the long, hot burn of Irish turf in its traditional form. Order, Not Pretty, Just PEAT USPS Packages and have the the wonderful aroma in a couple of days. Glynn Bros. BNM Briquettes are 100% organic. Dried and compressed, they burn hotter, longer and cleaner than firewood. Perfect for your fireplace, fire pit and barbecue.